We are on about day 17 of straight rain here in central VA! I feel so badly for Mason's preschool teacher. All the kids are going stir crazy not being able to go outside and play on the playground. So her and I am sure other teachers and parents are on the lookout for fun indoor activities for the weekend to keep these kiddos entertained! Honestly I am at a loss as to what we can do, so I went to the internet to find more actives. 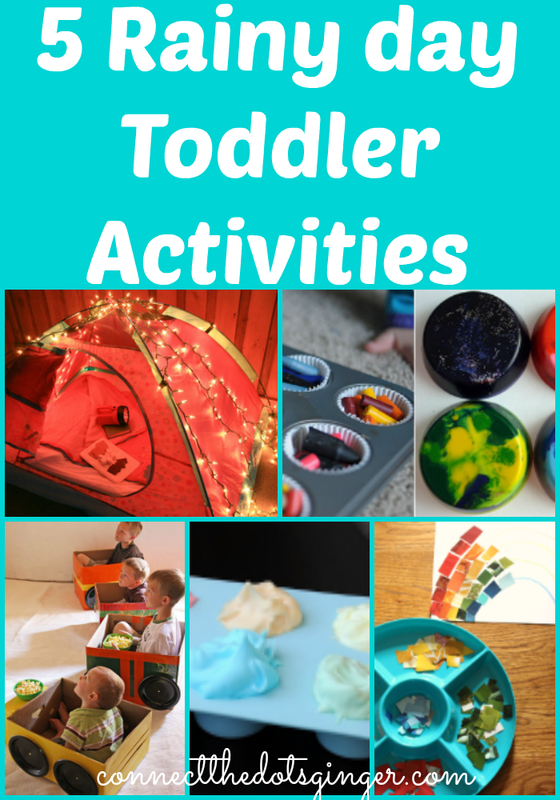 I feel like we have done a lot of these ideas but here are more ideas to entertain your kiddos! What do you do that is special for rainy days? Build a tent in your living room out of blankets and chairs. 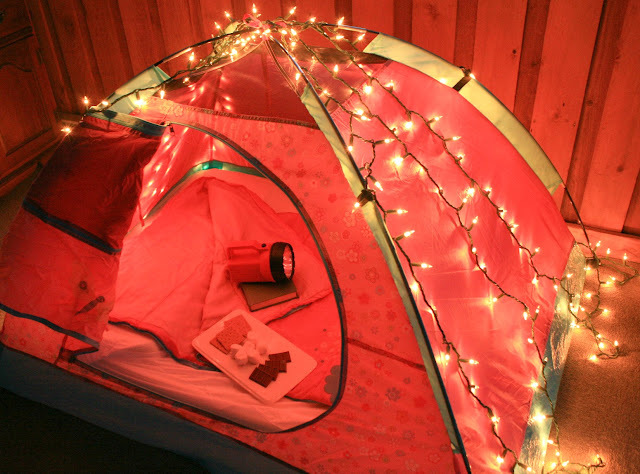 Or use a real tent and hang some Christmas lights on the outside to have the "stars" shinning brightly! Don't forget to bring the flashlights, snacks, and books. Or make it an igloo and pretend to hunt for polar bears and go ice fishing. 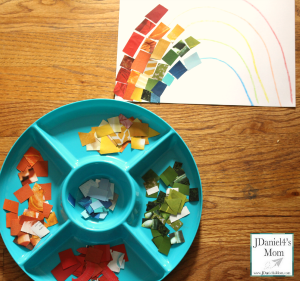 Find broken crayons, put them in an oiled muffin tin, and place them in a warm oven to melt. Let them cool and pop them out of the tin. Use your new "rainbow color-wheel crayons" to draw pictures for Grandma and Grandpa. Create an in-home drive in theater. 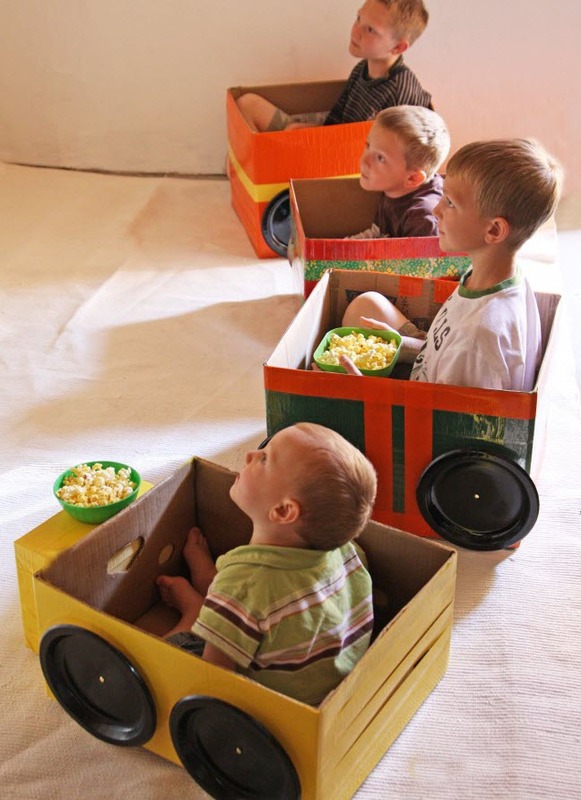 Take some old boxes and paper plates and have the kids make their own cars, turn out the lights, grab popcorn and beverages, and put on their favorite movie. 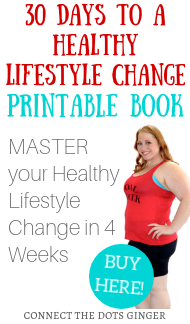 Pull out old magazines and catalogs and let your kids find pictures of animals, food, babies, or cars. 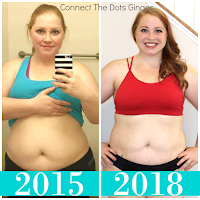 Give them safety scissors and glue sticks to make collages. Or have them make their own picture out of the colors they find! 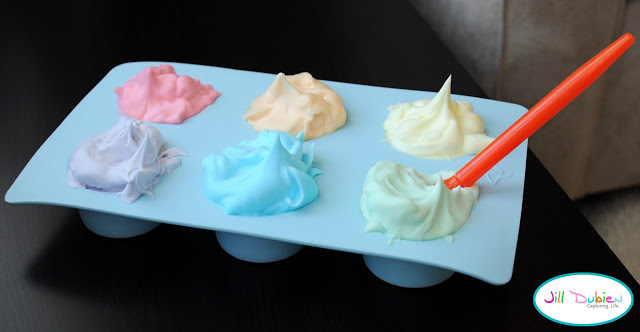 No outside dirt play, play in the tub with shaving cream, bathtub paints, and bath crayons. Don't want a bath? Paint with finger-paints or, for easier cleanup, let your kids paint with chocolate and vanilla pudding cups. That way they can lick their fingers without the nasty after taste of paint! Yummy!